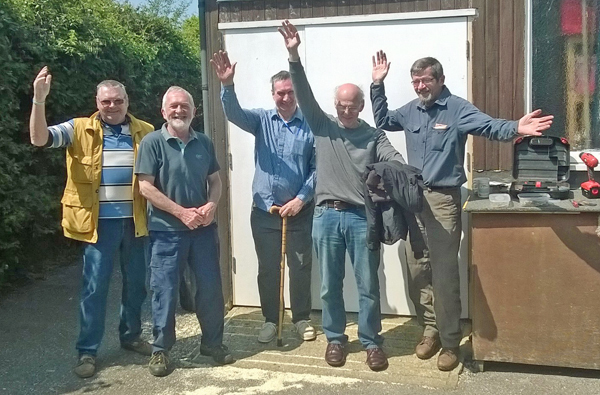 Welcome to the new 2017 Havant Men's Shed website. ​​More detail on what the Shed movement is all about can be found in the About page. Alistair Burt, Minister of Health, unveiled a plaque at the Havant Men's Shed when he visited in June together with our MP Alan Mak. 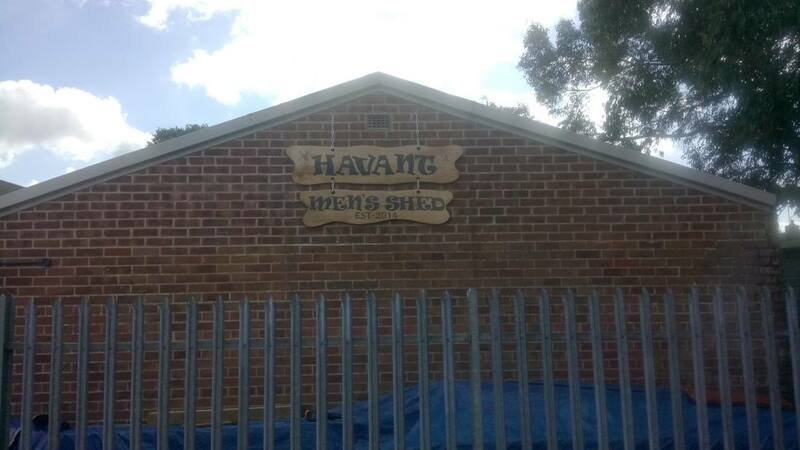 We were delighted to help the Havant Youth Sail Training Scheme replace their boat shed door constructed using timber donated by Barratt Homes. The oak timber for both garden benches was donated by Stansted Park, House and Gardens and the ironwork found on a scrapheap in a Worcester pub - The bench was put together by members of the Havant Men's Shed. This is one of many practical projects shed members are keen to undertake. Giving people reason to get up, to go out, and to make friends is obviously good for the retired, for the community, and since any such gathering is likely to have skilled individuals, good also for the buildings that host Sheds. Interested? Drop in and see us any weekday morning! We are open Monday to Friday, 9am thru 1pm. We will be glad to show you what it's about. Our contact details are to be found at the top of the page.